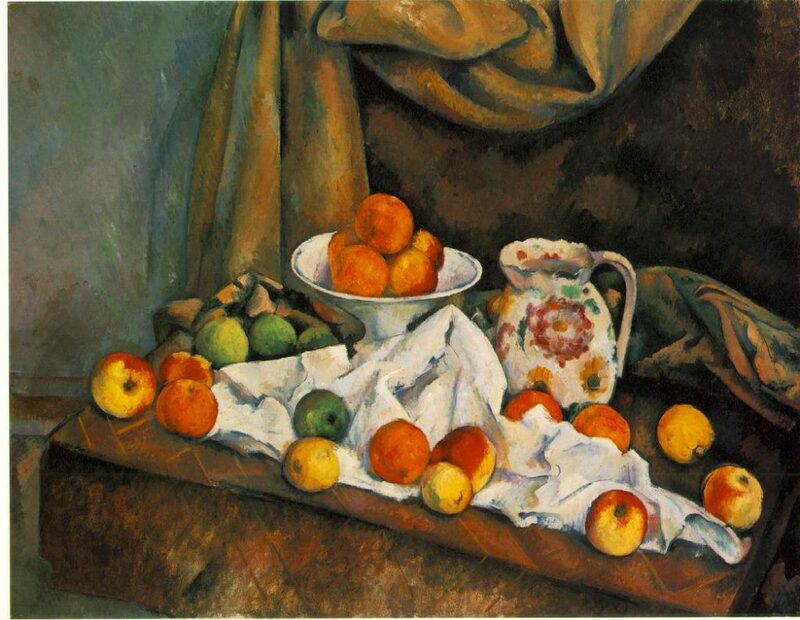 Image - 'Apples, Peaches, Pears, and Grapes' by Paul Cézanne c. 1879-80 (120 Kb); Oil on canvas. A seres of seven lectures on Sundays about Paul Cézanne. What exactly did Paul Cézanne communicate to these other artists that established him as such an important inspiration for four or five generations? His provincial beginnings, his life-defining friendship with Émile Zola, his struggle to assimilate the conventions and skills required to succeed in the nineteenth-century art world, his withdrawal from the Parisian scene for almost twenty years when he entirely ceased exhibiting, and the uncompromising oddity of his personality all marked him out as “a five-legged beast”, according to one of his contemporaries. Many recent commentators, in a spirit of conciliation, have striven to smooth-off the rough edges and normalise Cézanne’s art, as well as his eccentric relationships with others. Some exaggerate the anti-social and morbid legends, guessing at schizophrenia, homosexual crushes, rampant misogyny and irremediable incompetency in mastering the very basis of figure painting.